When your rice goes south of the border, it has more fun and picks up more flavor. This easy recipe for Mexican rice (arroz a la Mexicana) is like that one you get at your favorite Mexican restaurant. You know, the rice that's super fluffy and tastes so good but you never knew why. Now you can recreate that dish at home with just a few pantry ingredients. It makes a terrific side to chicken, fish, and any meat. You could also serve it with tacos or stuff it into a burrito. This recipe is pretty healthy but to make it even healthier, increase the amount of veggies or cook it with additional vegetables, like corn, bell peppers, and diced tomatoes. To make it even healthier, use brown rice instead of white rice, just be sure to add more cooking time. Leftovers freeze well too. Just spoon into a resealable bag, seal, and lay flat in the freezer. This makes it flat for easy storage and you can easily break off a piece if you don't want to defrost the whole bag. Per Serving: 261 calories; 21g fat; 17.2g carbohydrates; 3g protein; 0mg cholesterol; 179mg sodium. This is your typical Mexican Rice Recipe. 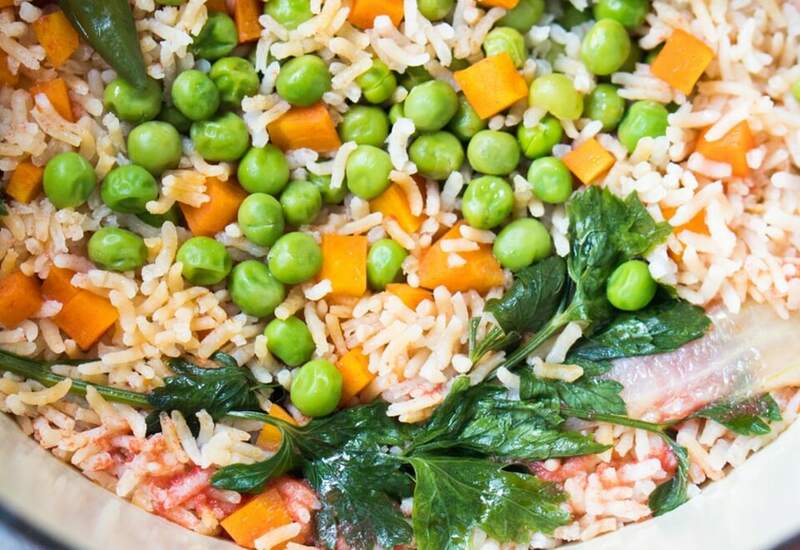 This rice goes really well with almost any meat dish. You have to try it if you have never tasted this rice side. Delicious Mexican rice! 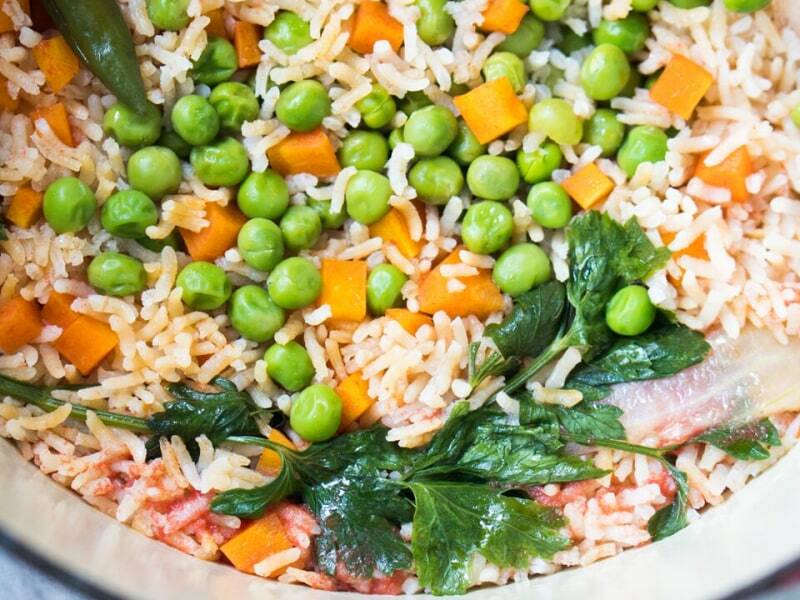 Not like the restaurant-style red rice, this version is packed with delicious carrots and peas. Perfect for a side dish to an authentic Mexican dinner. Lots of really good flavor, and definitely must try!